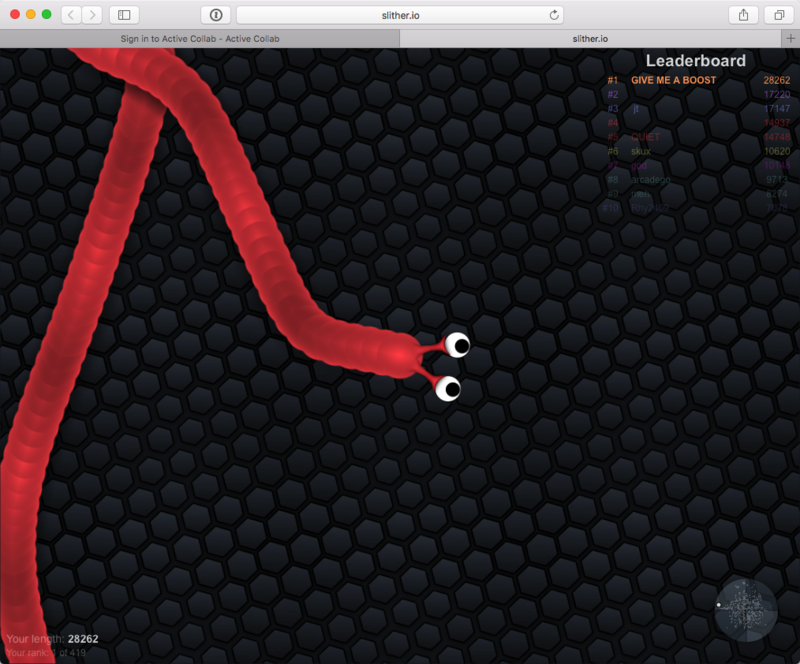 Finding creative ways to waste my time on this incredibly addictive game – Slither. Warning – DO NOT play the game. As much as I hate snakes, these seem ok. I am Number #1 in the world ending the game with 30,000 points (I think that’s what they call it or 30,000 length). Then, I got a little greedy and crashed into a little one that just started off. I could see how people lose out a lot in this world. All because of their greediness to want more and more. Lessons – Don’t be greedy and Stop wasting time!